Stories to entertain you, written with a paranormal twist. Giveaway ends October 25, 2013. The warm weather has been a boon for editing. I love the sun, yet the heat is so strong it keeps me indoors, so I am able to find time to complete my editing. I am about a 3rd of the way through my final edit, and I have set several query letters as well as a submission to a publisher. I am still on track to finish up and be ready for publishing by July, which is very exciting. This is a paranormal horror story and quite brutal and graffic, so I am not sure of my audience. It is quite different then my usual work. My frist being a paranormal YA, Splintered:Sierra's Legacy, The Christmas Star, a heartwarming holiday paranormal, and then Face the Music, still in the editing phase, but a paranormal mystery with zombies and two female sleuths. I plan on another installlment of the Karma Stone, but have not yet begun. I am just very excited to move forward. I have begun the process of taking apart the Karma Stone chapter by chapter, deleting superflous words, but rounding the scenes out and adding more show as I reduce the tell. I really believe in this story and want it at its finest for publishing. 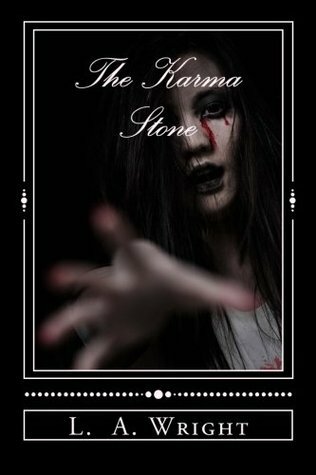 The story remains one of the creepiest I have read, but even as I complete this and work on editing face the music, I am back at writing a sequel to the Karma Stone. That is why I am back to the basic form of tearing it down and rebuilding it better. I do not want to let it go with imperfections. I am shooting for the end of July now, and hope to have the sequel completed by the first of the year. This last two years has been a tough one, I am ready to move on. 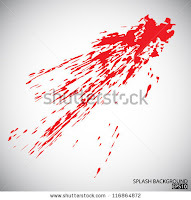 Using the knife, he swung at her again catching her chest, causing a splatter of blood. The sticky warmth and faint metallic smell thrilled him, increasing his adrenalin. The lust for blood fed his anger as he kept swinging the knife, now missing, then striking, and then missing again. Grabbing her hair, he was able to get a more solid hold. Taking the blade still sharpened and honed from the stone, he cut her throat. The blood spattered everywhere. In his fury he lost control as he kept hacking away, unaware of anything else. Carving and cutting, he couldn't get enough, his hands were trembling and his heart beating so erratically it shook his frail frame. She could no longer fight, but the initial anger still fed him. Stabbing the knife into her body repeatedly, cutting off parts and moving them around he continued until exhausted. He kept going, but soon over-extended the abilities of his body. Stopping to rest, he realized she had not moved for some time. I am getting ready for release of The Karma Stone, and also moving forward on Face the Music. I will be heading on a trip to visit some friends and hope to have copies to take with me. A labor of love, it is still somewhat like giving birth, there is still that pain irregardless of how the end product makes you feel. I am also completed the re-editing of Pplintered: Sierra's Legacy, stabilizing the time line, and adding a few extra scenes. Already for sale, I will update the re-release. I am hoping to have all three completed and out there at the same time so that my readers will have something to choose from for extra reading. Along with The Christmas Star, part of a Christmas Antrhology, Christmas Lites, I will have four works available. I am already looking at further work and should have something new beginning this fall. The work is interesting, and I am enjoying the way the words fall together. I am ready to get these in print and e-book and on to the next. Please take time to stop by my facebook page and like. I would appreciate your assistance. I am located at https://www.facebook.com/#!/paranormaltalestold, You can also find me on Twitter, linked in and google +. While waiting on my book to be through the contest, I have been looking a pictures for the cover. They will be somewhere along this line. I will be posting my choices soon, and hope to get some feed back from my readers. Due to the dark nature of the book, the pictures may follow that direction as well. In the meantime, I am also working on edits of Splintered: Sierra's Legacy. I have gottern through several chapters and will upload and re-release when it is complete. I will be looking for reviewers at that time and will be sending out requests. The reviewing world is a difficult one, there are so many authors looking for reviews, it is more difficult to get them now. You have to catch the eye of the reader, and connect in some way. I am looking forward to getting back into the swing, and ready to move forward. I will also be considering another installment of the Karma Stone, as I have had some requests, and will move forward on the rest of the Splintered World Series. 2 days more before the first faze of the contest is completed. Hope to make it through, but if not will re-submit next year. In the meantime, the book will move forward, I will just have to build a stronger pitch, the book speaks for itself. . I have been editing Splintered for the last few days and what I find is invigorating. I have grown and can see the errors so much more clearly. I have a few paragraphs that I told the story instead of showing and I found I could make the episodes involved so much more telling by tweaking a few words. I believe it really helps to step away for a time, we authors become entirely to fond of our characters and are not able to clearly characterize them without the distance. At least I have found that to be so here. I remember now why I was so smitten and and excited to bring Sierra and her crew into the updated fantasy she deserves. I believe within a month I will be close to complete and will re-introduce the work with an updated time-line, Chapter headers, and a few or scenes. I appreciate your patience and enjoy your time. I smile as I think about moving forward on this project, it makes me want to mover foreword on the sequel. The Karma Stone, as you know has been entered in the ABNA contest, but I already have Beta Readers asking me to write it as a series. I will certainly think along those directions, but the darkness of the telling takes a lot out of me. I will look for the next story to fit in, it is set up for such a direction should I so choose.